I always say this to my friends- think twice before doing anything you think you’d regret doing after sometime. Thinking about the pros and cons might take a while. But it’s all worth the time when you know what you do won’t cause you so much depression in the end. If you want a drink- think twice. That first shot could lead to something else- like doing something ridiculous, not just to yourself but also to others when you’re already drunk. If you think you’re falling in love, think again. Is it real love or just infatuation? Is it for the right person, or are you just in love with the idea and feelings of being in love? Is the other person free to love you back? Or will you just ruin someone else’s heart? If you just had an argument with your partner, move back a little. Either of you might need some breathing space. And take the opportunity to think. After you have mellowed down, talk with him and sort things out. Gabbie has taught me how to do this. Having an active toddler like her pushes my patience to the limit. When I was single, I took care of my nieces. But when they throw tantrums, I’d give them back to their parents, or my parents. I admit, I didn’t have that much patience. Spanking, raising my voice or any other ways of physical disciplining were the only options. Now when Gabbie acts up, I think twice- should I or should I not? Of course I should not spank at all times. Only when it is appropriate (when explaining don’t work) and only with a palo stick. Because if I give in to temper, I might end up in jail- haha! Just kidding. Seriously, during my post-partum stage, I exploded once, too. I pushed her swing and I screamed too loud that she stopped crying but looked really terrified. It only happened once, and I regret doing it and every time I remember, I feel guilty. Now she’s two and it helps that she can understand simple explanations already and she remembers the things that she’s allowed and not allowed to do. But still, her kakulitan has doubled. So my “think twice” mantra is very useful. Think twice before you spank, think twice before you scream, think twice before you explode, think twice before you totally lose your patience. 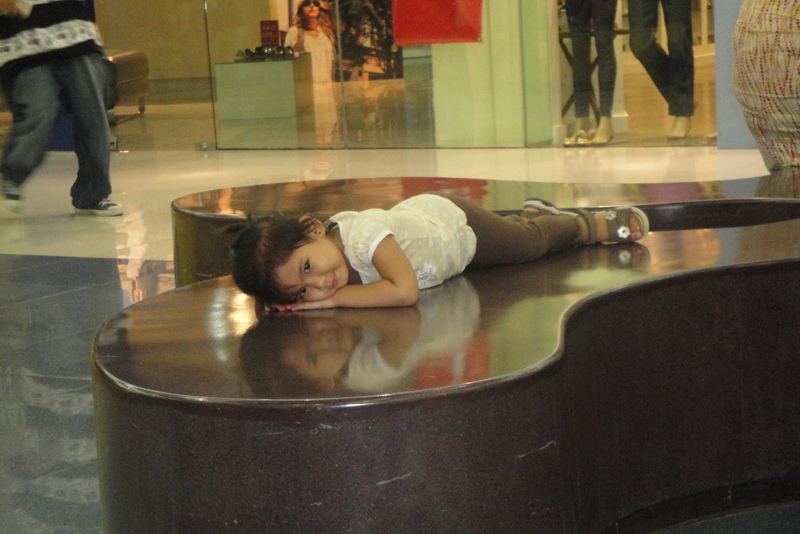 Because kids will always be kids, and kids are naturally super makulit. ~ by ivymarasigan on April 28, 2010.